These models have been kindly offered, on loan, for the exhibition at The Spring (Arts and Heritage Centre), Havant. 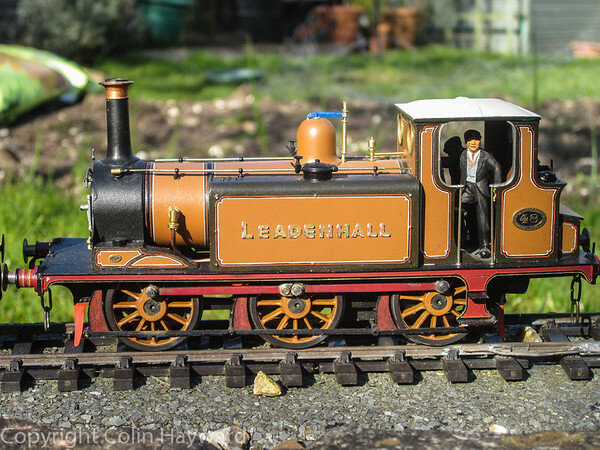 These have been beautifully constructed and painted as are the Colin Paul models. 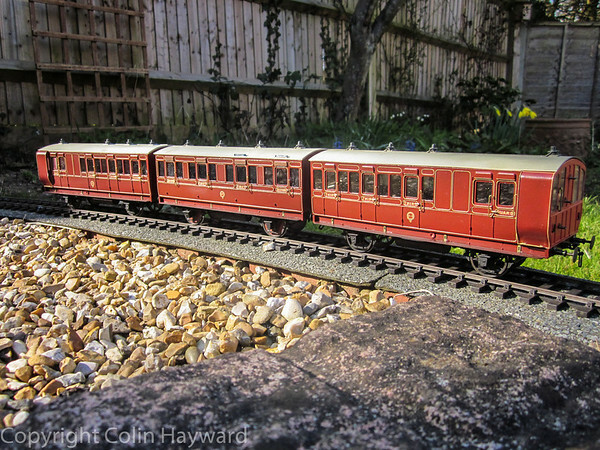 The prototype was built by Sharp Stewart and is seen here as it was when running on the Hayling Island branch. Following transfer from the branch, it was rebuilt as No 481 ‘Inspector’. See http://www.haylingbilly50.co.uk/node/380 for the model of the ‘Inspector’ and http://www.haylingbilly50.co.uk/node/110 for the history of this locomotive. A Stroudley Tank locomotive which was based at Fratton. 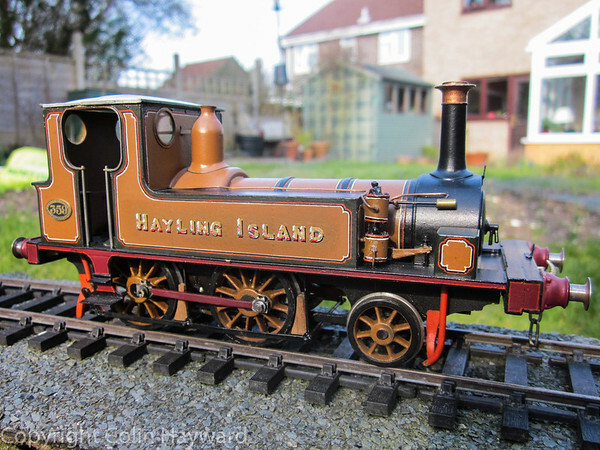 This type of locomotive replaced the Sharp Stewart Tank locomotives on the Hayling Branch and the type remained in service until closure. This particular locomotive was one of the first to be withdrawn from service in 1901. 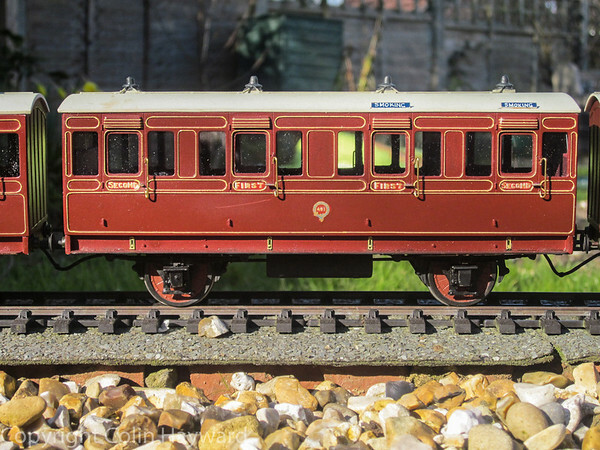 Typical coaching stock of the period.